Recently we discovered that one of my daughters is lactose-intolerant, and have been modifying our cooking and baking to accommodate her. Avoiding the stomach aches, headaches, and general bad moods that follow her consuming dairy make the extra effort worth it. This morning we turned a classic lemon loaf recipe by Jean Paré (author of the Company’s Coming series) into moist dairy-free muffins that were great for breakfast. Optional: a handful of blueberries. 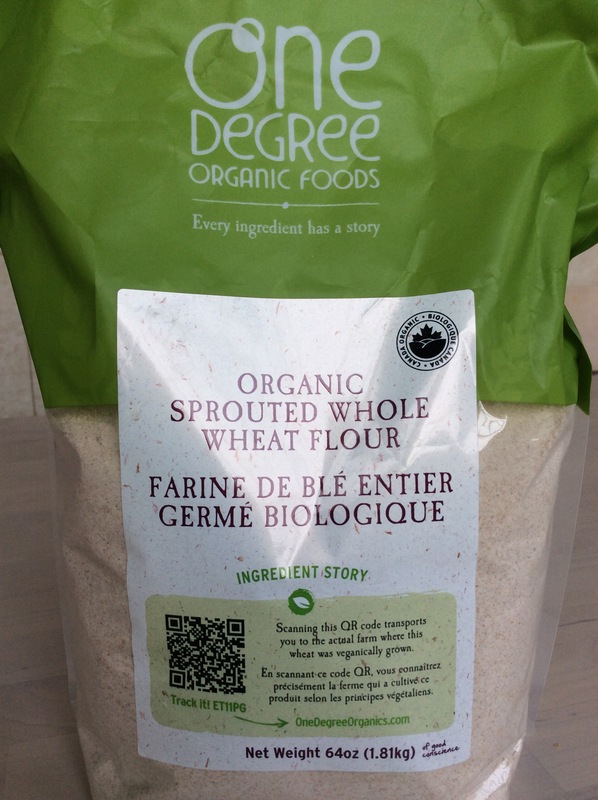 Instructions: Mix wet, mix dry, mix together gently until flour just blended in. Spray muffins tins with oil and scoop in the 12 muffins. 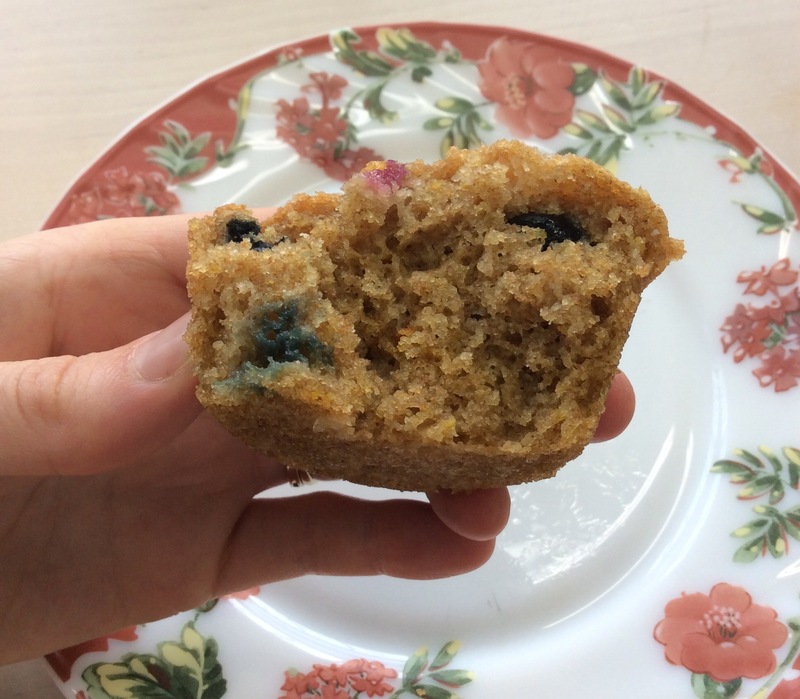 Since half my kids like blueberries, and half not, I just stuck about 5-7 blueberries in the top of half the muffins, and left the others just lemon. Bake at 350 C for 18 minutes or until golden brown. Mix juice of one lemon with 2tbsp white sugar until dissolved. Slowly pour a little lemon glaze on each muffin and let sit a few minutes. 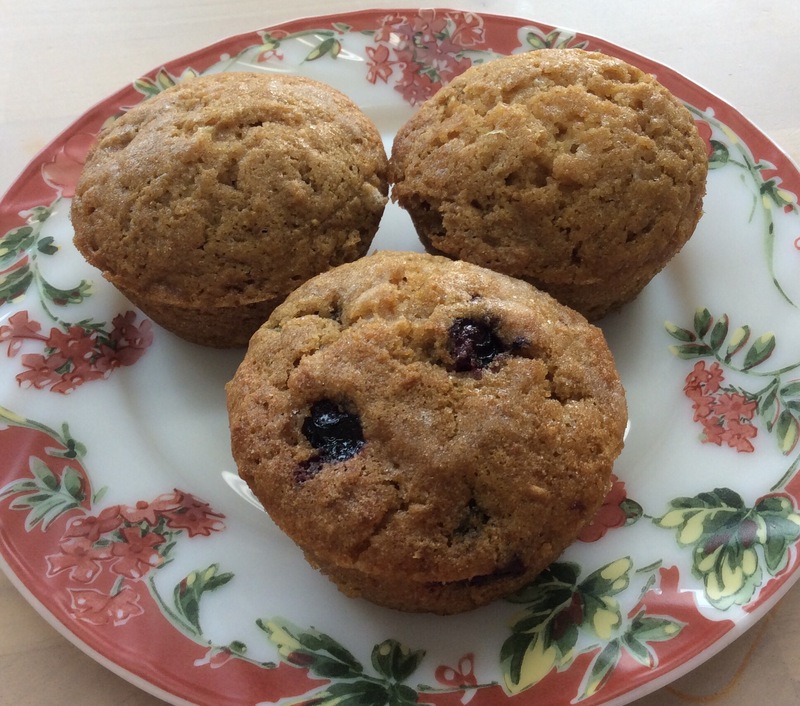 The muffins were nice and tender, and had a bit the texture of cornmeal muffins, likely due to the sprouted whole wheat flour. Enjoy for breakfast or afternoon snack with coffee, tea or juice! Great idea, glad you found what helps her to feel good. A little very smooth Sesame Tahini can add protein & creaminess. .